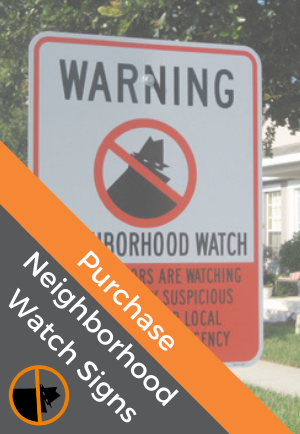 NNW.org is the Official Website for the National Neighborhood Watch Program managed by the National Sheriffs' Association. It is our hope that the website will enhance and strengthen local watch programs while providing resources to communities and law enforcement throughout the country. Please feel free to placing a link to NNW.org on your website to help us reach more groups and provide more information. You are welcome to use our official logo as a target or banner on your site. Should you be interested in using the logo as a target please send an email (nw@sheriffs.org) and we will provide you with the logo file. Further, we encourage you to use the following statement about the website on your site for citizens to better understand National Neighborhood Watch and what the program offers. National Neighborhood Watch empowers citizens to become active in community efforts through participation in Neighborhood Watch groups. The goal of the site is to provide information, technical support and resources to local law enforcement agencies and citizens. Since 1972, the National Neighborhood Watch Program (a division of the National Sheriffs' Association) has worked to unite law enforcement agencies, private organizations, and individual citizens in a nation-wide effort to reduce crime and improve local communities. We are currently having new banners created. If you are interested, please send an email to nw@sheriffs.org for more information.